Did this just happened or am I dreaming? 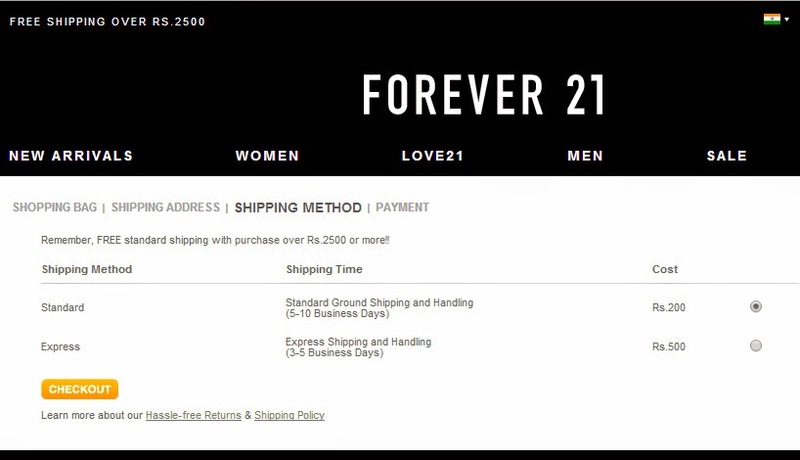 As of now, Forever 21 is only available at Delhi and Mumbai. 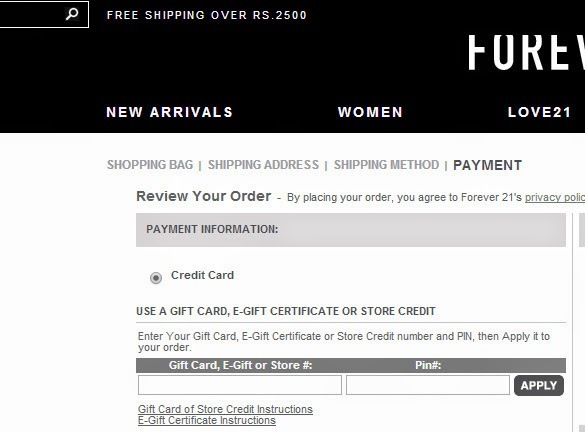 So, the people of the rest of India just have to day dream their ways into the store. The idea is more frustrating for people who have been inside the store, shopped from the place and not able to access the store anymore because they know how wonderful the collection is. What to watch out for? As usual, I went though the accessory, bags and shoes section. 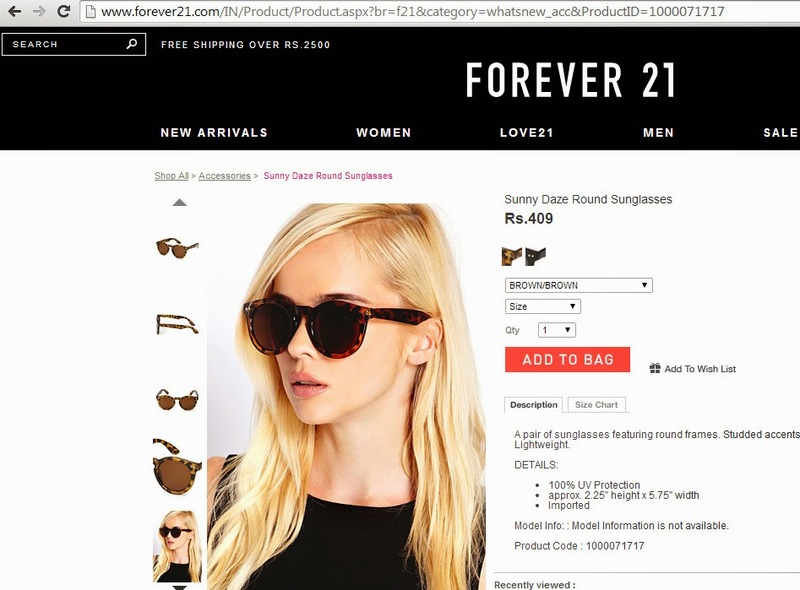 If you are a Forever 21 virgin then try to have a look at the accessory section - mainly rings and sunglasses. It is tough not to like them for their design at those price tags. Even, my last purchase from Forever 21 Viviahna Mall and Inobit Mumbai, majorly comprised of rings and earrings. Collection - The store has just started and there are many products that are missing as of now. For example, the bag section is almost deserted and majorly comprise of those Rs 99 canvas totes. Funny thing - the first page shows a swimsuit but not a single active-wear is added to the site as of now. Standard for Rs 200. Standard ground shipping taking 5-10 business days. Express for Rs 500. Express shipping taking 3-5 business days. Now, not everyone owns a credit card so,..........period. Wondering what I picked up? This one. Look at the price. Did I purchased this? No. EDIT - I had to ship something back for sizing issue. They have not made the refund even after two months!!! So, be careful about what you order.